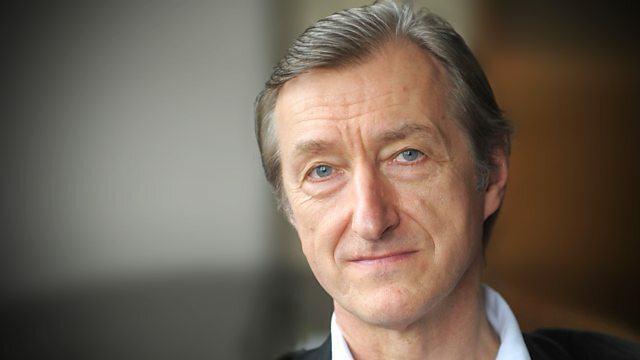 Author Julian Barnes explores the collisions between music and power, introducing works by Bach, Mozart, Mahler, Tchaikovsky, Prokofiev and Bach. Julian Barnes's fifty-year relationship with music recently culminated with his novel The Noise of Time, the central character of which is Shostakovich. Today Julian takes Shostakovich and his battles with Stalin as the starting point for a musical journey through works by Mozart, Mahler, Tchaikovsky, Prokofiev and Bach. Conductor: Semyon Bychkov. Singer: Nuccia Focile. Singer: Sarah Walker. Singer: Olga Borodina. Singer: Irina Konstantinovna Arkhipova. Orchestra: Orchestre de Paris. Performer: Jean‐Yves Thibaudet. Singer: Cecilia Bartoli. Orchestra: King Oliver and His Orchestra. Conductor: Philippe Herreweghe. Ensemble: La Chapelle Royale. Choir: Collegium Vocale Gent.